GemmoRaman-532SG™ represents the most advanced gemological photoluminescence and Raman spectrometer currently on the market at a reasonable cost. GemmoRaman-532SG™ is based on state of the art Ocean Optics TEC cooled scientific grade spectrometer capable for detecting smallest Raman and photoluminescence signals with extremely high signal to noise ratio. 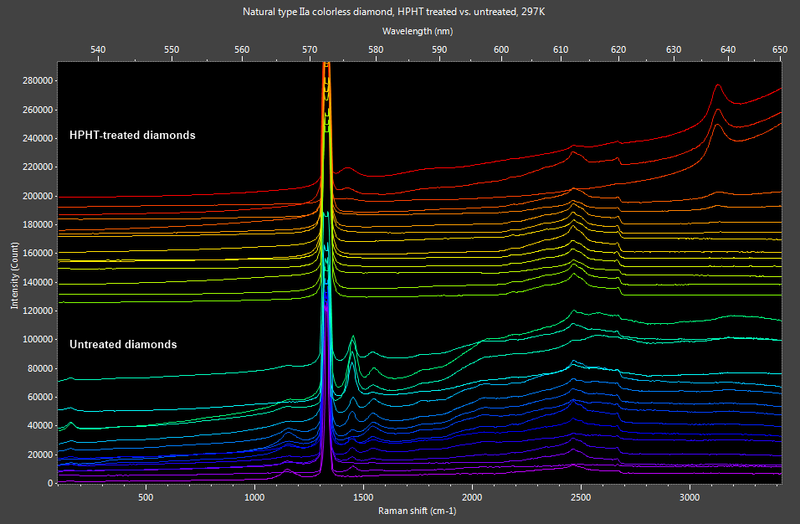 It's extended spectral range is specifically tailored for diamond studies, allowing clear detection of important signs of possible synthetic origin and/or irradiation treatments. 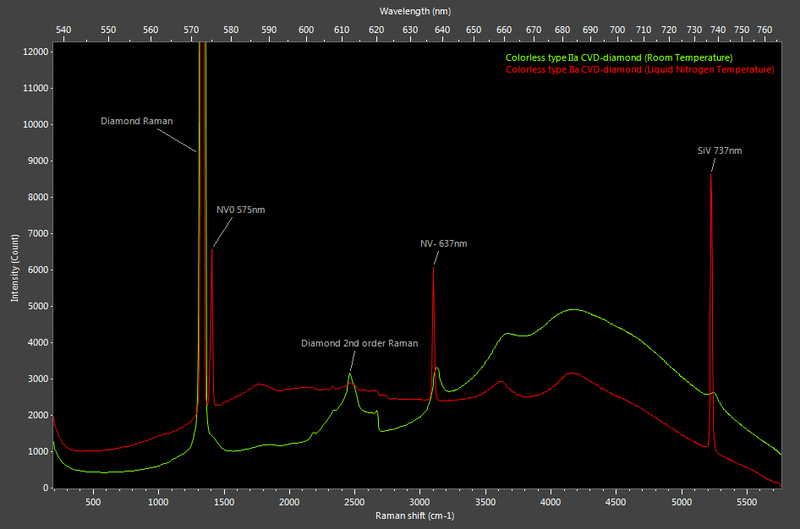 GemmoRaman-532SG™ has gained great popularity among diamond laboratories as an important tool for detecting synthetic diamonds manufactured by CVD (Chemical Vapor Deposition) method. Unique AutoFocus feature - place the gem table down on the sample stage and go! GemmoRaman-532SG™ has been manufactured with no compromises. The selected spectrometer is absolutely the best on the market - Ocean Optics QEPro. This thermoelectrically cooled CCD-type spectrometer has outstanding 18bit A/D- conversion and provides practically noiseless spectra. Typical noise for one second exposure time is about 0.5 counts out of more than 200 000 counts. To translate this technical jargon for a gemologist; the results are simply pure. 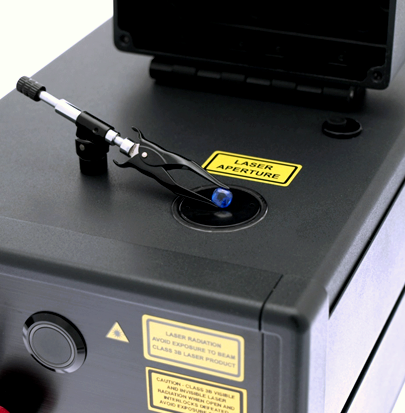 An independent UKAS accredited laboratory has awarded Class 1 Laser product classification for GemmoRaman-532SG™, which fully meets and exceeds the safety requirements of International Laser Safety Standard IEC/EN 60825-1/2014 under normal operating conditions. USA: GemmoRaman-532SG™ has been registered with the FDA (CDRH) to legally enter the country. GemmoRaman-532SG™ can be installed by the end user and does not require for technician visit on site. The system is shipped with a laptop computer having pre-installed and tested software. GemmoRaman-532™ has been designed to be virtually maintenance free. It's expected life cycle is more than 10 years. 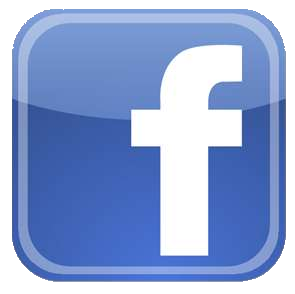 Lifetime of the laser unit is 5000 - 10000 hours, and it must be replaced by factory technician. Spectral intensity output of GemmoRaman-532SG™ has been calibrated at the factory by NIST traceable calibration standard. This calibration ensures the saved spectra are comparable between the units and other properly calibrated Raman spectrometers. It is expected that this calibration is valid for at least 2 years. Unit response calibration can be performed, for example after rough transportation, by the end user by using the optional GemmoRaman Unit response Calibration tool. 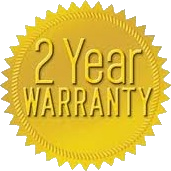 MAGILABS Warrants to the original purchaser of the GemmoRaman-532SG™ that the unit will be free from defects in material and workmanship for a period of twenty-four (24) months from the date of original shipment. • Damage caused by modification or repairs not authorized or made by MAGI.